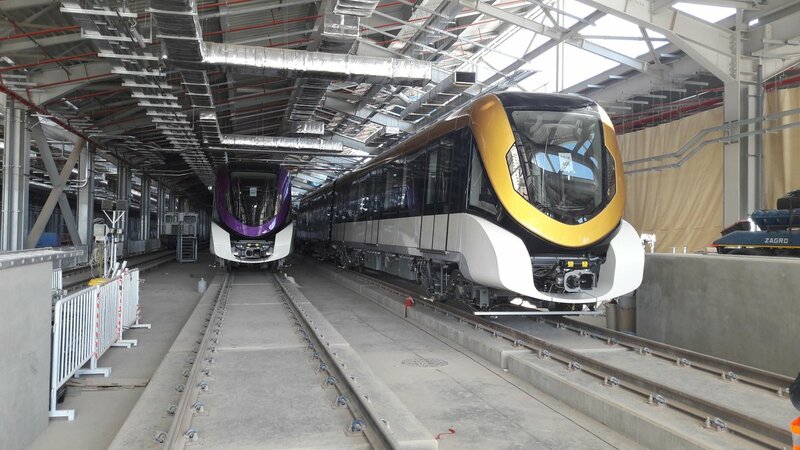 France’s rail transport company Alstom has been tasked to provide operation and maintenance (O&M) services for lines 3, 4, 5 and 6 of the Riyadh Metro network over a period of 12 years including the mobilization period, for a cost put at $848 million, Trade Arabia reports. The French company will complete the project under the banner of Flow Consortium1; a consortium that it formed with Italy’s Ansaldo Signalling and Transportation Systems (STS), a transportation company and Ferrovie dello Stato Italiane, a stated-owned company focusing on rail infrastructure. The scope of Alstom’s will include lines 4,5,6 as well as those provided for line 3 in addition to fixed installations such as tracks, signalling, communication, passenger information systems and power supply, Trade Arabia adds. Riyadh Metro Network is managed by Arriyadh Development Authority (ADA). The French multinational has been operating in the kingdom for nearly 60 years and is known as a leading entity in markets systems, equipment and services for the transport sector. Written by: KanelkaTagba on September 19, 2018. Posted by KanelkaTagba on Sep 19 2018. Filed under Gulf News, Headlines. You can follow any responses to this entry through the RSS 2.0. Both comments and pings are currently closed.